This is the complete ignition coil connector kit, and pigtail for Nissan models with Rb20, Rb25, Rb26, and SR20 Engines turbo and Non turbo models. Connector includes all weather seals, terminals, and locks. Perfect for those that are replacing OEM damaged and worn connectors, or doing a custom turbo build. 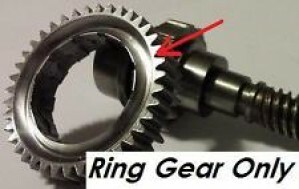 Usually the original aged connectors become crack and brittle effecting performance, creating unwanted misfires with motor. When swapping the old coils its always a good time to replace the worn connectors, check our other auctions for Nissan application Coils packs.